At the time that I am writing out this post, we are 22 days away from celebrating our 10-year wedding anniversary. 10 years. A lot has happened in that time and I am grateful for the lessons I’ve learned, the relationships that have been strengthened and the family that I’ve gained. Unfortunately, it took me a while to realize just how much I love my in-laws and I find myself wondering if I hadn’t been so insecure in my standing with them at the beginning if we would be closer than what we are right now. I feel like I am trying to play catch up and make up for time when I may have been cold or unfriendly when really, I was just young and insecure. 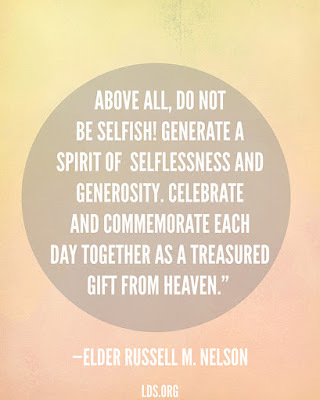 I wanted to share a quote from President Russell M. Nelson that he shared when he was an Elder. He stated, “Above all, don’t be selfish! 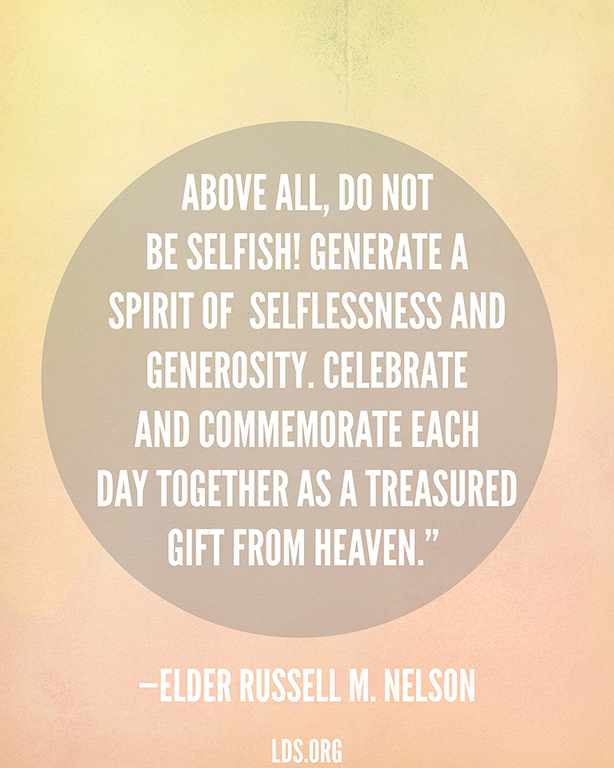 Generate a spirit of selflessness and generosity. Celebrate and commemorate each day together as a treasured gift from Heaven.” I know that this is advice given to couples, but it can be related to all relationships with others. When we are generating selflessness and generosity, we are more likely to give each other the benefit of the doubt and charity. I know that not all in law relationships are ideal, and that not all in laws are easy to get along with, but I do know that we are promised that as we treasure our families and we keep our promises that we will be blessed to spend eternity with them. That includes our parents, siblings, children, and extended family. Eternity is an awful long time to spend with people you don’t get along with. If it’s possible, learn from my mistakes and start now at building those happy relationships now, it is so worth it and awesome to gain more family.